Payments shall be accepted and credited as premium by Insular Life only if the policy is in active status and under a premium paying mode. Payments made under a lapsed policy will only be accepted upon the policy owner’s submission of the required documents for the reinstatement of the said policy. All payment facilities listed herein other than Insular Life offices, will accept payment of premiums which may include outstanding loan interest, if any. Payments other than renewal premiums, such as initial deposit on new business, loan and loan interest payments, policy servicing fees, deposit on Premium Deposit Fund and other policy-related payments shall be accepted in any Insular Life offices. Payments in cash and in check are accepted at all branches of UBP, BPI, BDO and Metrobank. In paying your premiums, fill out the bank’s bills payment slip and present it to the teller along with your current premium notice. Payments in cash, in check or credit card are accepted in any of Insular Life’s offices. Check payments must be payable to "The Insular Life Assurance Co., Ltd." and should not be post-dated. You may pay your premiums using your Visa and Mastercard credit card at any of our Insular Life District Office. AMEX, CUP, and JCB are also accepted for payment of non-Variable Life premiums at select Insular Life Offices. Credit cards are NOT accepted for non-premium payments and for payments of I-Shield premiums. Payments of premiums online are accepted in UBP, BPI and Metrobank. Enrollment through your depository bank is required to access this facility. 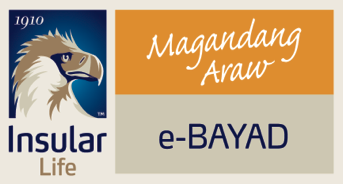 For UnionBank Account Holders: This facility is available to Electronic Online (EON) and Regular ATM account holders. If you are an EON account holder, Union Bank will send via e-mail your online banking password. For regular ATM account holders, go to any UnionBank ATM, and access the Internet PIN generator menu for your internet PIN. Then, to enroll, log on to www.unionbankph.com and follow the on-screen instructions. For BPI Account Holders: This facility is available to all BPI account holders. To enroll, log on to www.bpiexpressonline.com and follow the on-screen instructions. Fill out an on-line form and submit online. For Metrobank account holders: This facility is available to all Metrobank account holders. To enroll, go to any Metrobank branch or log on to https://www.metrobank.com.ph and enroll in Metrobankdirect. Fill out an on-line form and submit online. Credit card payments are also accepted online, off-site and through automatic installment deductions. Go to the Insular Life website https://www.insularlife.com.ph. Under the online facility, you may pay your premium Online Payment Facility or through the Automatic Charging Option (ACO). This is a customer-initiated online credit card payment facility for a single payment transaction on a premium which is currently due. Upon payment, an acknowledgement receipt shall be issued to your InLife Customer Portal. The payment shall be credited to the policy after two (2) to three (3) working days from the date of the approval of the payment transaction, upon which a payment transaction confirmation containing the official receipt number, shall be sent to the policy owner’s i-EAGLE mailbox for reference. Log in/access your personal account to proceed to Homepage. Select "PAY ONLINE" button under the policy you wish to pay. Choose "Proceed" or "Cancel" on the confirmation details. Read the Online Payment Terms and Conditions and click "AGREE", "DISAGREE" or "PRINT" button. Select type of credit card, "Mastercard" or "VISA" and provide credit card details. Wait for your payment confirmation to complete the transaction. The facility allows the use of a policy owner’s enrolled VISA or MasterCard for the automatic charging of current and future premiums of Non-VUL policies every due date. Enrollment to this facility is required and may be done online, through the phone, or over-the-counter. Select "Customer Portal" and click on "sign in". Log in/access your personal account. Click on the ACO tab, read the ACO Terms and Conditions and select agree button to continue. Enroll your VISA/MasterCard credit card. Select the policies to be enrolled with the corresponding enrolled credit cards. Click "Submit" button to confirm assignment of policies to a credit card. Wait for the enrollment confirmation via SMS, your i-EAGLE Mailbox and your Personal Email. Go to the nearest and most convenient Insular Life office. Once the enrollment has been processed, a notification will be sent to the Policy Owner’s i-EAGLE Customer Portal. Enroll in InLife Customer Portal. 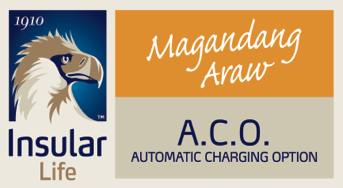 Telecare will send Authorization for Automatic Charging Option (ACO) Form. Once the enrollment has been processed, a notification will be sent to the Policy Owner’s InLife Customer Portal. WIRELESS POINT OF SALE (WIPOS) - This is an off-site facility, where you can pay your premiums at your preferred pick-up address using your VISA or MasterCard credit cards. The requested pick-up venue must be within the approved identified Metro Manila/ Cavite/ Laguna areas. Preferred date of pick-up must be confirmed by the servicing unit. A service fee of P200 applies for pick-up amounts less than P30,000. This facility enables the policy owner to charge to his credit card (VISA or MasterCard) his monthly deposit into an EPOn fund. This EPOn fund earns an interest based on the prevailing rate determined by the Company and approved by the Insurance Commission. Whenever a modal premium is due, the amount is deducted from such EPOn fund. Fill out and sign the Application for Easy Payment Option (EPOn) Form, Authorization for Automatic Charging Option (ACO),Form and Application for Easy Pay Plus (PDF) Form. Once enrollment has been processed, a notification will be sent to the Policy Owner’s i-EAGLE mailbox. Payment of premiums is accepted under BPI Express Teller. Enroll in this facility at the BPI branch where you maintain your account. Bring your premium notice or official receipt of your last payment when you enroll. Payment can then be made through BPI Express Teller. Payment of premiums is accepted under BPI Phone Payment. Enroll in this facility at the BPI branch where you maintain your account. Bring your premium notice or official receipt of your last payment when you apply. Post dated checks together with an accomplished PDC form may be submitted in all Insular Life offices. The number of checks to be issued will be based on the modal premium. Upon take-up of the payment (represented by the post dated check) to a premium due, an official receipt shall be issued and sent to the policy owner. Account Name: The Insular Life Assurance Co., Ltd. Please ensure that the Remittance Center indicates the policy number and name of the policy owner in the “Remittance Instruction” to be sent to BPI. The payment amount should also be credited to Insular Life’s BPI account as “telegraphic transfer” and not as direct cash deposit, to ensure that the remittance will be taken up immediately. Please note that, after you have remitted your premium payment, please notify Insular Life of your remittance by sending us a scanned copy of the validated wire transfer or telegraphic transfer form via letter addressed to Insular Life c/o Customer Care Unit or email addressed to customercare@insular.com.ph. You may also pay your premium abroad through a BPI Remittance Center or through I-Remit, Inc. Simply present your premium notice and fill out the remittance slip to pay your current premium due. It is important to present the premium notice and inform the remittance center of the intention to pay using the remittance arrangement and not through direct deposit to Insular Life’s account. This facility provides the convenience of having your premiums automatically paid through an enrolled UBP/BPI/BDO/Metrobank/Land Bank deposit account. Your modal premium due from your policy shall be automatically deducted from your enrolled bank deposit account on your preferred debiting date. Fill out and sign Insular Life’s Authorization for Automatic Debit Arrangement (ADA) Form and Automatic Debit Arrangement Form from UBP/BPI/BDO/Metrobank. Submit duly signed and accomplished requirements to any Insular Life office. Once the enrollment has been processed and activated, a notification will be sent to the Policy Owner’s i-EAGLE mailbox.